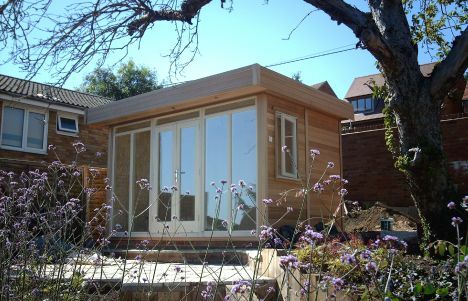 6.2m wide x 3.6m deep Recessed Pod. 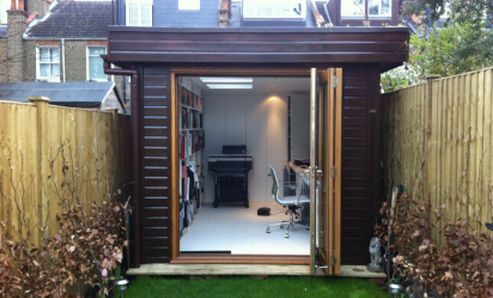 This Garden Office fits perfectly into this London property. 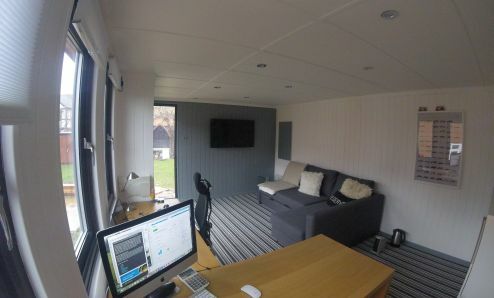 What better way to avoid a lengthy commute or parking charges, and add some extra quality space at the same time? 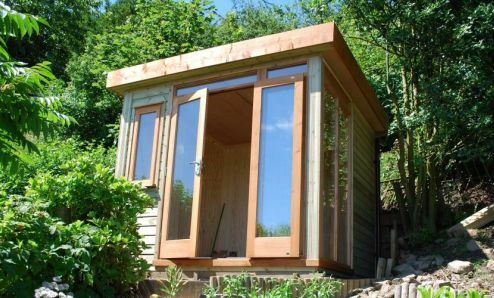 A traditional style 3.8m x 2.4m Garden Office or Garden Room with a pitched roof and featuring contemporary glazing options. 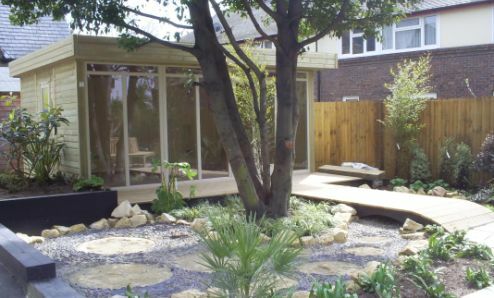 The front overhang provides a covered seating area from which to enjoy views across the garden. 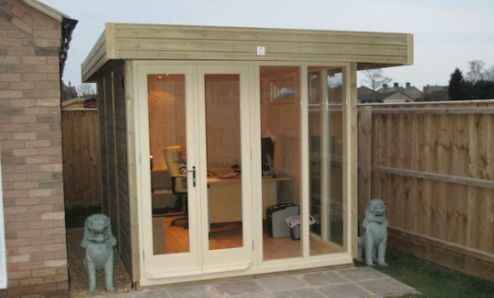 12 x 8 Traditional Office with double doors. 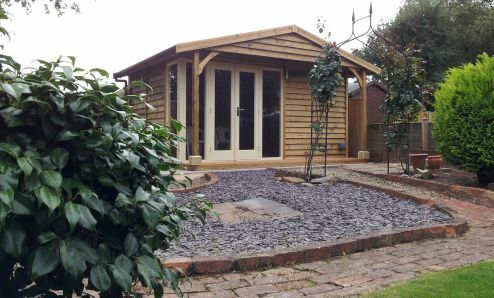 At 2.5m high it sits neatly into the corner of a very pretty garden. 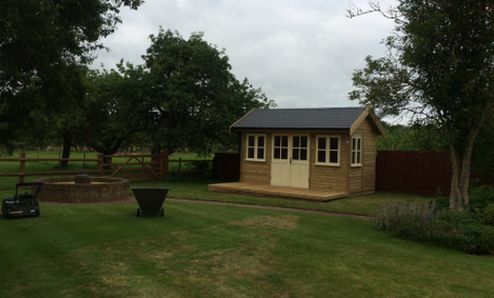 Please look at the special offers as we often have demonstration units available for sale. 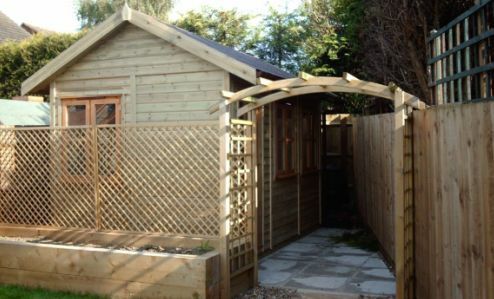 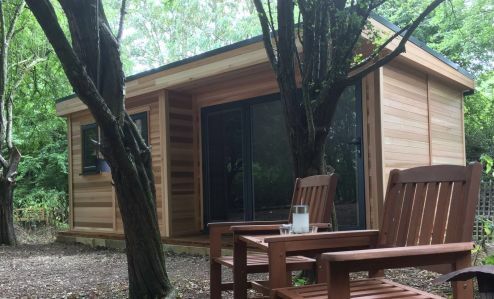 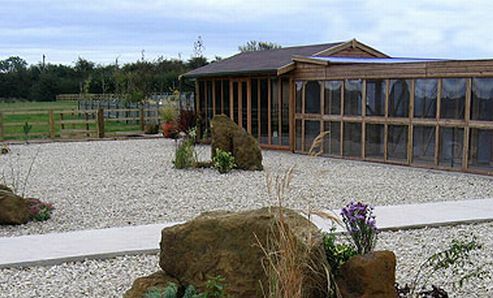 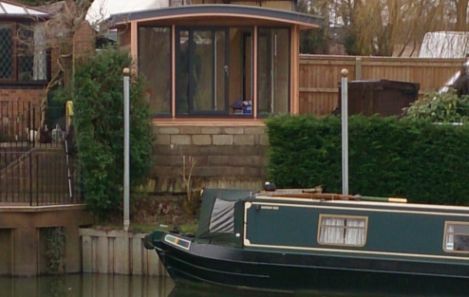 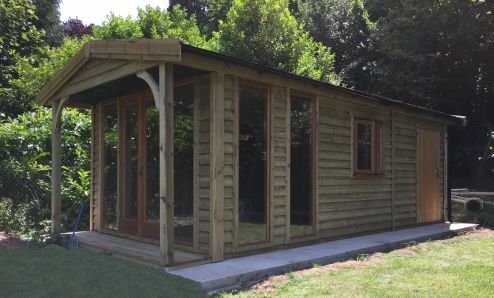 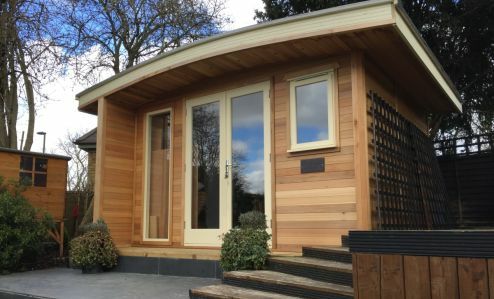 Warwick Buildings are one of Britains leading manufacturers of Garden Offices, Insulated Garden Rooms, Posh Sheds, Studios, Garden Office Buildings, Home Working Rooms, Artist & Therapy Rooms. 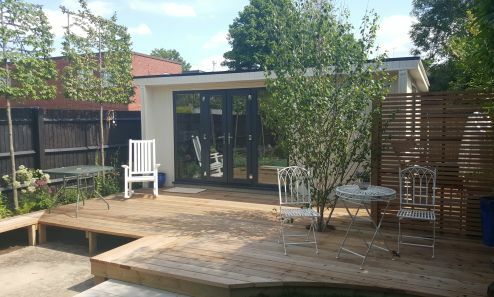 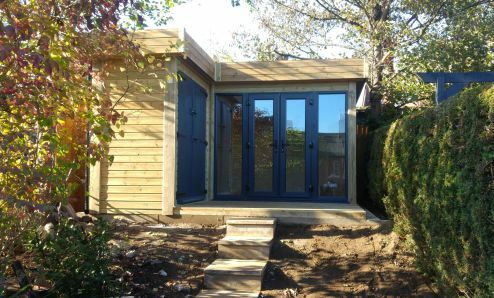 We are specialists in modular garden offices, whilst offering a bespoke range for those looking to install an extra room, or garden studio in the garden. 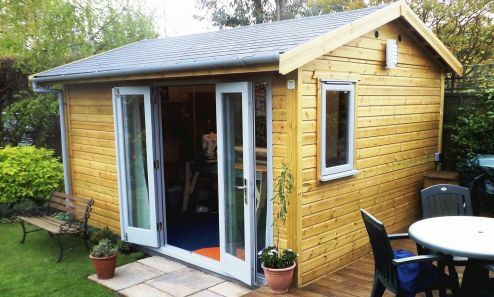 You may be well aware that a large proportion of the population is working from home, so whether you require a single person building or a larger office for more employees, Warwick Offices can provide you with an attractive building complete with insulation, double glazing, electrics & installation at an extremely attractive price. 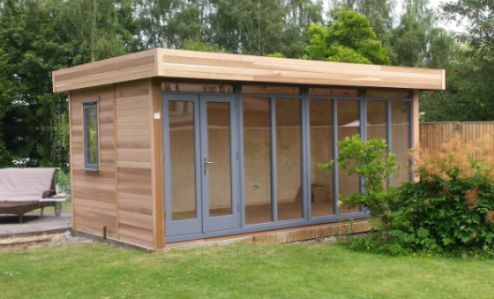 Our modular design means that assembly takes place anywhere in the country within a single day, keeping the costs and inconvenience to a minimum. 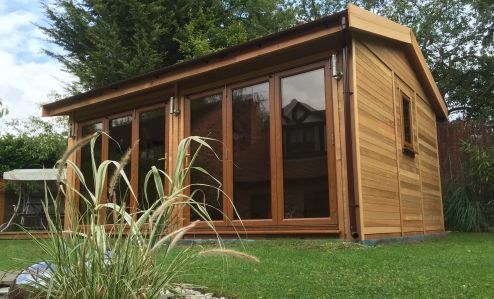 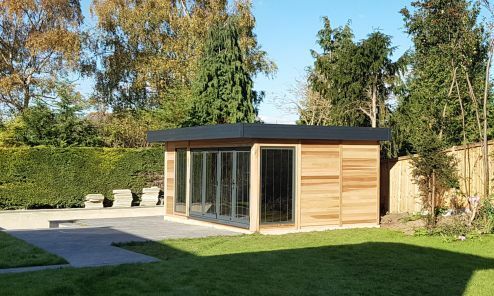 We offer a traditional garden office, contemporary garden room , and a cedar garden office design, all of which are outstanding energy efficient garden buildings that are designed for all year round use. 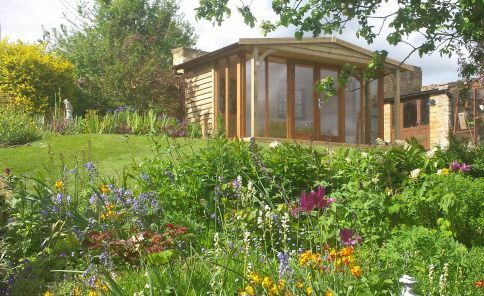 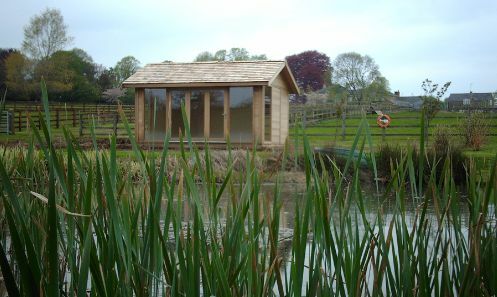 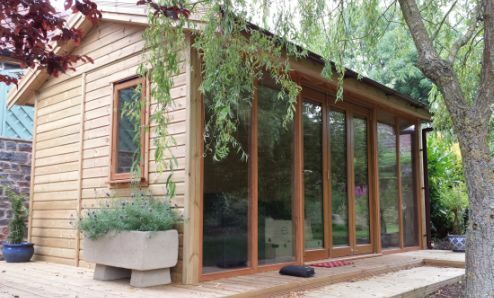 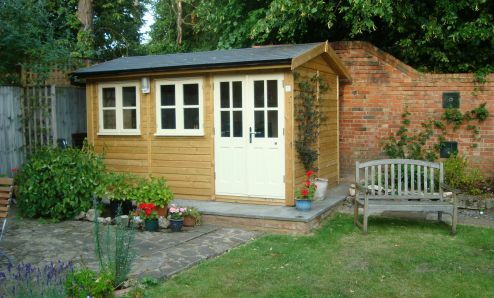 The garden offices are assembled on site by our own experienced craftsmen. 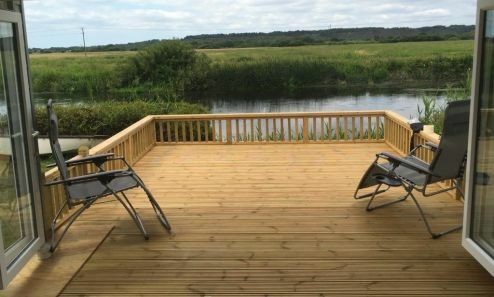 For more information please browse the website where our current prices and special offers are available to view. 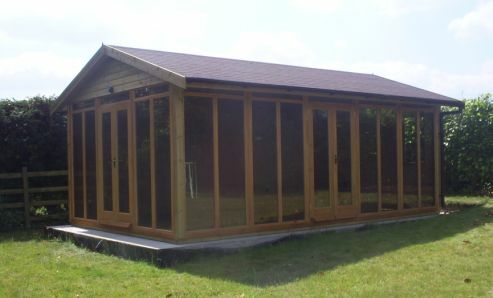 Aberdeen City, Aberdeenshire, Angus, Avon, Bedfordshire, Berkshire, Buckinghamshire, Cambridgeshire, Cheshire, Clackmannanshire, Cornwall, Cumbria, Derbyshire, Devon,Dorset, Dumfries and Galloway, Dundee City, Durham, East Ayrshire, East Dunbartonshire, East Lothian, East Renfrewshire, Edinburgh City, Falkirk, Fife, Glasgow City,Gloucestershire, Hampshire, Herefordshire, Hertfordshire, Huntingdonshire, Inverclyde, Kent, Leicestershire, Lincolnshire, London, Middlesex, Midlothian,Moray, Norfolk, North Ayrshire, North Lanarkshire, Northamptonshire, Northumberland, Nottinghamshire, Oxfordshire, Perth and Kinross, Renfrewshire, Rutland, Scottish Borders, Shropshire, Somerset, South Ayrshire, South Lanarkshire, Staffordshire, Stirling, Suffolk, Surrey, Sussex, Warwickshire, Wiltshire, Worcestershire, Yorkshire North Riding, East Riding, West Dunbartonshire, West Lothian, West Riding.